After the week in Toulouse, I had two more stops before heading home. The first was a trip out to Wales to see one of our partners on Monday. As I had to be back in France on Tuesday, and my flight was Monday at 6:00 p.m., the logistics were a bit challenging. The only way to make it work was to drive out to Wales from Heathrow. The flight to London was pretty easy, and in no time I was in a car, driving west towards Wales. 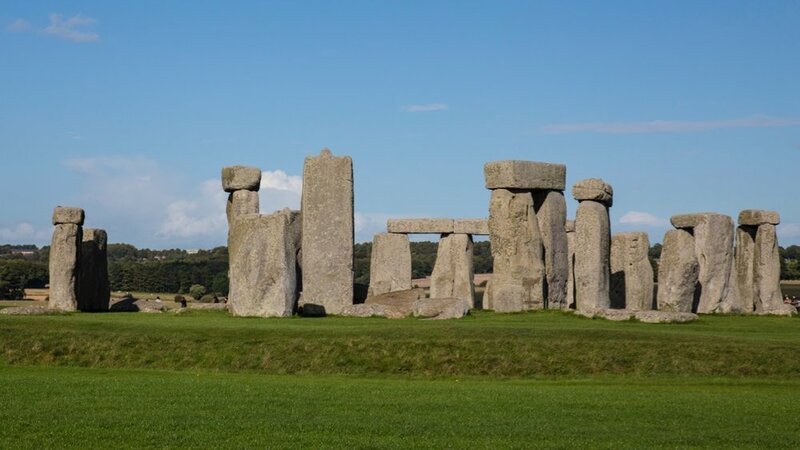 As I was along the way, I decided to stop at Stonehenge to check it out. It had been seven or eight years since I had been last, and it’s always been a favorite place for me. Plus, one of my favorite authors, Bill Bryson, had mentioned in his last book on England that they had recently completed a major upgrade to the visitor center. So I wanted to check that out. There were a lot more displays, like this 100% sized stone that allows you to better understand the monumental effort that was put into building the monument. And what a change! They actually moved the visitor center about 1 ½ miles away from the site, and had closed off one of the local roads that went nearby. 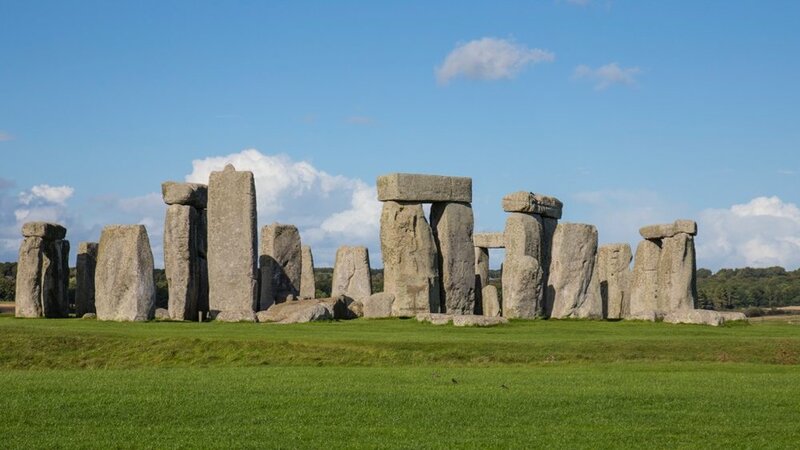 To accommodate the change, they have shuttle buses that cart people out to the monument, but they also leave you the option to walk either along the roadway, or through the surrounding fields where you can explore other Stone Age monuments. 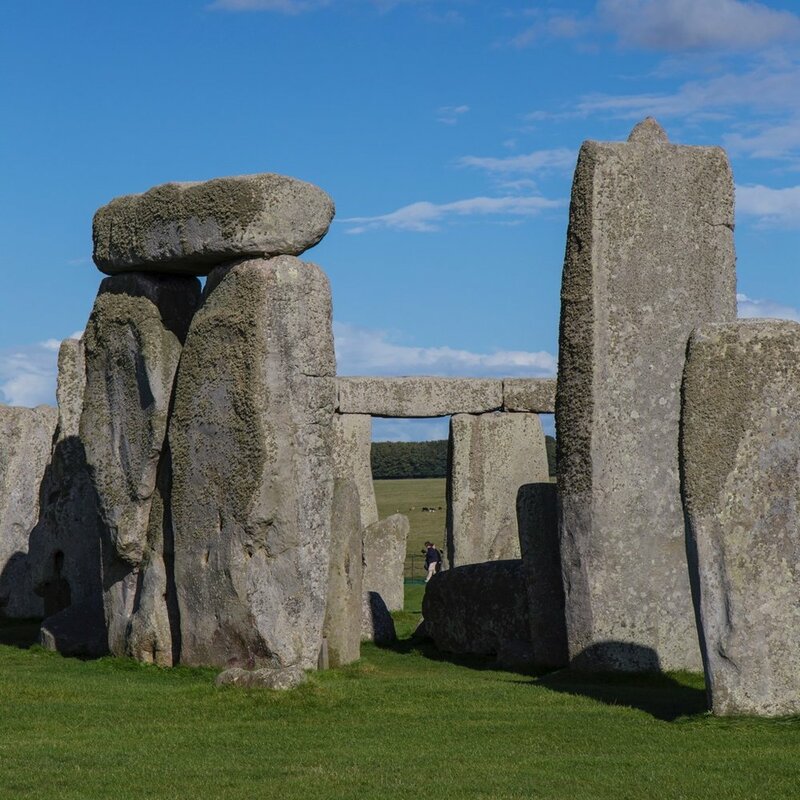 I chose the latter – there’s something much more satisfying about walking across the landscape, and seeing Stonehenge gradually appear and grow in front of you. The walk out to the site is really nice. 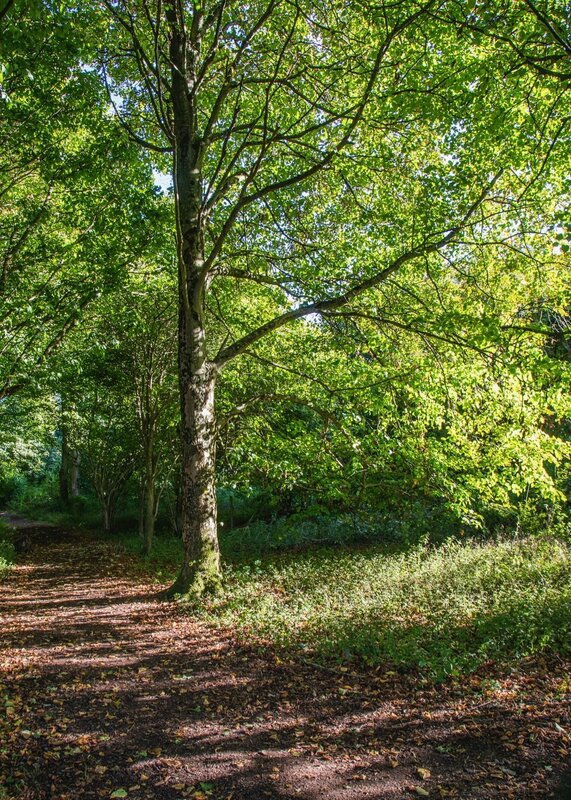 Walk through the fields, rather than up the road. The new visitor center is really nice. They have some excellent displays, and provide a lot of insight into new discoveries and theories about one of the most mysterious places on the planet. I spent a good hour in the visitor center before making the walk out to the monument. I walked out along the road, just to get there quickly and spent a short amount of time at the monument itself. While it was busy (as expected on a Sunday afternoon), they’ve been really smart about designing the path around the stones, such that you almost feel like there aren’t as many people around as there are. I didn’t stay long, preferring to use the limited time available to me to explore the surrounding countryside. 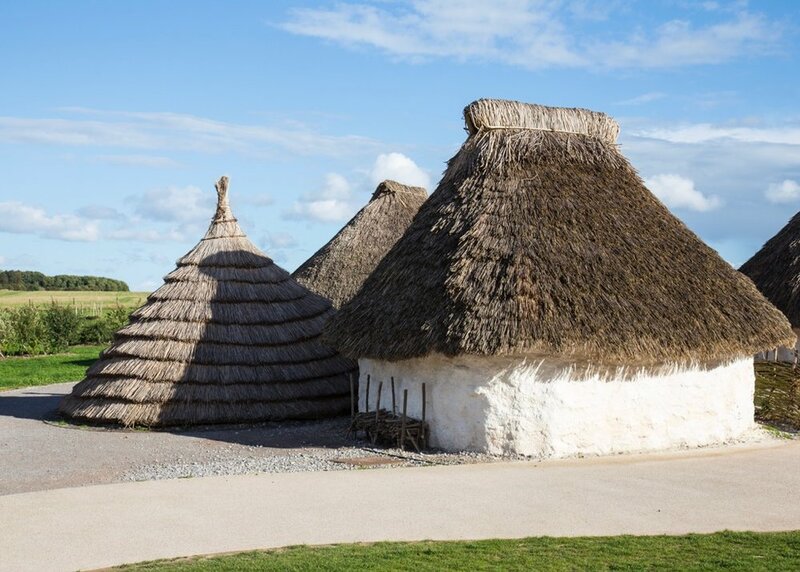 The redesign has made the Stone Age burial mounds and other aspects of the landscape much more accessible. It was a great afternoon. No matter how many times I go, I still find the place inspiring. A view out to the burial mounds. These actually pre-date Stonehenge, if I have my facts correct. The Heel Stone is a single large block of sarsen stone standing within the Avenue outside the entrance of the Stonehenge earthwork, close to the main road. One final look before heading out. I tracked my walk around the Stonehenge site. The satellite imagery is a little old - the old visitor center near the monument is no longer there (big improvement), and the new visitor center isn't even on the map - literally. Once I wrapped things up I still had about an hour’s drive to the hotel. There was massive traffic over the bridge into Wales, and so it was about 6:00 p.m. by the time I got to the hotel. The hotel was in the middle of nowhere, and so I ate at the local restaurant, then headed back to the room to get some work done. My meeting on Monday went well, if a bit crazy. We went straight from 9:00 a.m. to 1:00 p.m. with no breaks. I had set 1:00 as the cut off, to give me enough time to drive back to the airport. It ended up working out pretty well, as I got to the airport with a little bit of time to spare, so it wasn’t too stressful.